This cache belongs to the series of 6 Angelswee caches which are all hidden near the village of Angelsbierg. Start with the Devil and you’ll end up to the Moon. The first 5 Angelswee caches do not depend on solving any other riddle of the series. However, the right solution will give you extra hint for some of the other ones. Angelswee - The Moon is a bonus cache which can be solved only after you have collected enough extra hints. All the clues and hints can be found in the cache descriptions or using the geochecker. Also Google can be a good friend for you. In the forest you only need to find the waypoints and the finals. Read everything carefully, note the small details and remember what you have seen. All the clues may be needed. The pentagram is a symbol of a star with 5 points with one point up. It has long been associated with mystery and magic. Each of the points has its own meaning . 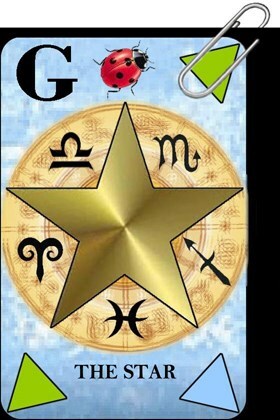 The upward point of the star is representative of the spirit. The other four points represent the basic four elements of matter: earth, air, fire, and water. All these things contibutite to life and are a part of each of us. The pentagram has long been believed to be a potent protection against evil and demons, a symbol of safety that shields the wearer and the home. 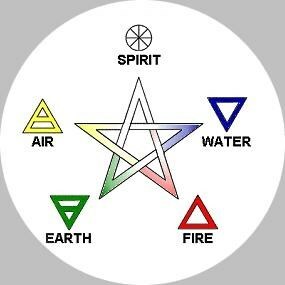 To wear a pentagram necklace or other form of jewelry, is to say you feel the connection with the elements and respect the earth. The number 5 has always been regarded as mystical and magical. We have five fingers and five toes and we commonly note five senses - sight, hearing, smell, touch and taste. If the pentagram is inverted with one point down it becomes a symbol for darkness and satanism. 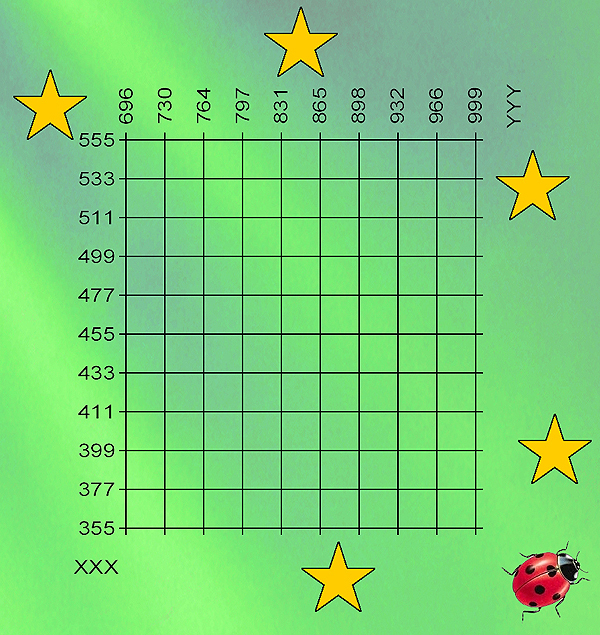 Find the location of the sixth star. The missing star is similar to the 5 other stars with the same size and the same shape as the others. Check your solution for Angelswee - The Star.